MOSCOW, February 3. /TASS/. The unmanned underwater vehicle (UUV) from the oceanic multi-purpose system Poseidon will be able to autonomously skirt any enemy defense systems, which will make it invulnerable with regard to its performance characteristics, a defense industry source told TASS on Sunday. 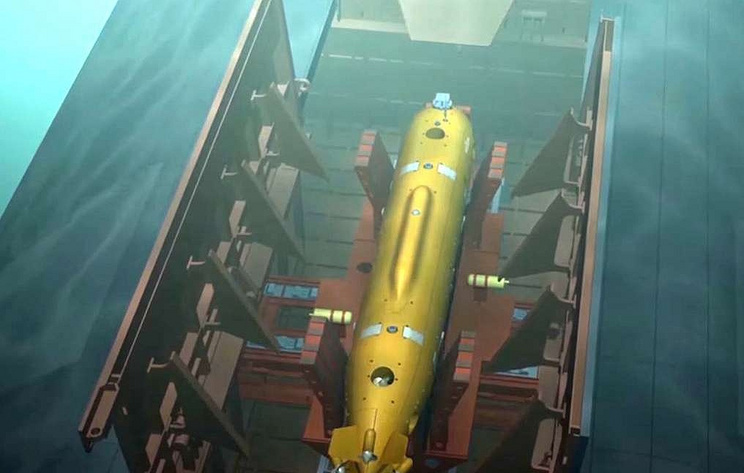 "On its way to a target, Poseidon will be able to avoid and overcome any antisubmarine barriers and other enemy defense systems due to the fully automated operation system," the source said. The source noted that the UUV’s running depth will exceed 1 km, and "new technical solutions will ensure the maximal speed of 200 km/h." "All together, the intellectual and performance characteristics of the vehicle will make it invulnerable and secure a guaranteed target destruction," he added. The multi-purpose system Poseidon will include a special-purpose nuclear submarine and unmanned underwater vehicles on board. The source reiterated that "the vehicle from the system is intended not just for strategic tasks, but for destruction, for example, of enemy carrier groups."